The App is great and easy to use. I would like to be able to edit out totals on estimates. Some of my estimates have more than one option and have different individual totals. Id also like to have a “sign to accept” section on emailed quotes so they can be returned via email with a signature. 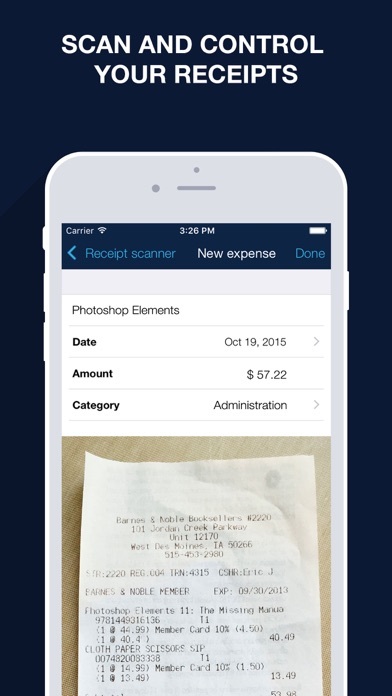 But overall it works way better than my invoices and quotes on quicken self employed app. I am very pleased with the ease of use! 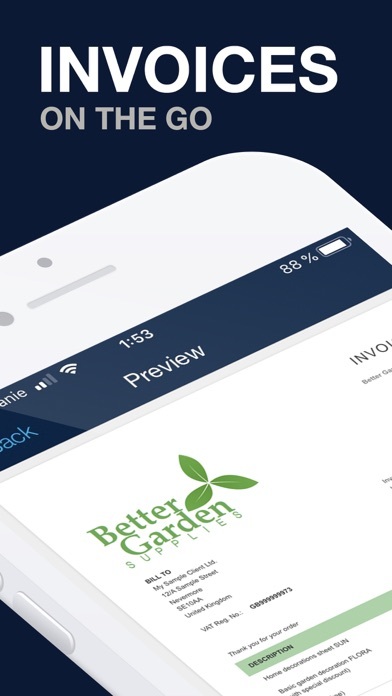 Own a small company and this makes bids and invoicing nice and easy! Thanks! I am simply trying to print off the summary of last year‘s business for tax purposes and I cannot do that from the app and if I go onto the computer and export it it is only printing a blank page. I have been trying to do this for the last two hours and have had little or no help from the help desk. 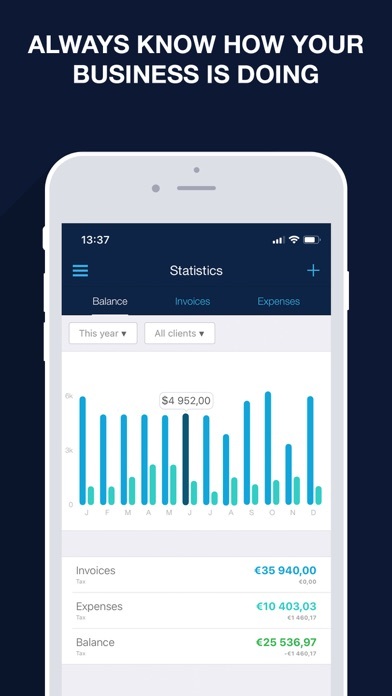 This app is OK for building and sending invoices but it should not be this difficult to print out a simple annual summary. Not to mention I went to sign in and forgot my password and it’s not allowing me to reset my password either. So frustrated. I have tried for about a week to get in touch with customer service and no response email after email great app but no one to talk to when there is issues that need to be addressed. 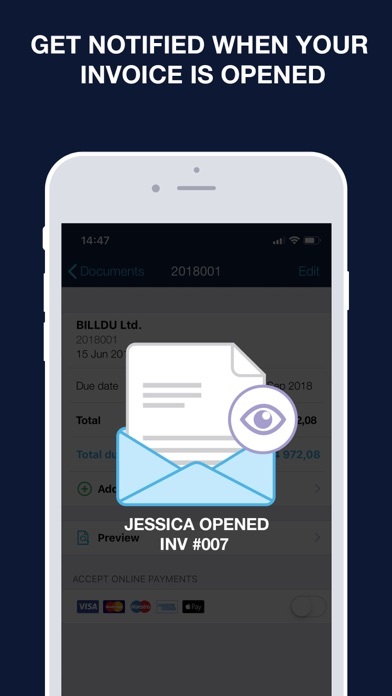 This app has helped speed up the process at which our family company can create professional invoices without having to create my own templates. 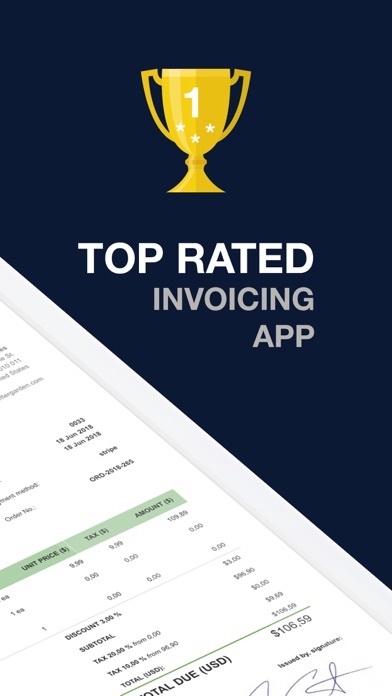 I highly recommend this app to any company looking to create quick and easy invoices/estimates and have a simple but well put together organization system that keeps up with due dates as well as clients. Makes very nice invoices, keeping my boutique bakery business very organized. 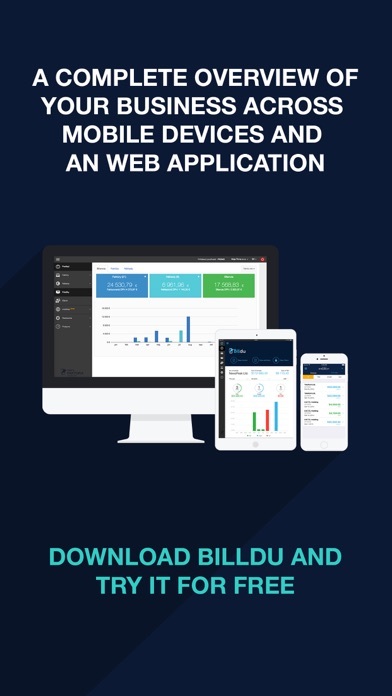 My only complaint is that when I started the app, I chose the free option until I was sure it worked for my particular business. When I upgraded, I lost all of my previous saved information: contacts, previous invoices and orders. Otherwise, I would suggest this app!